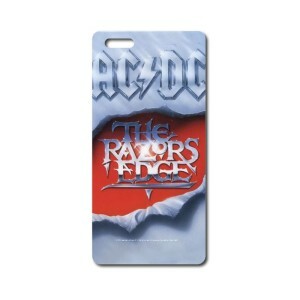 Rock out with AC/DC on the go! These custom cases are made of high performance plastic and feature vivid wraparound prints. This is a print-on-demand item. Please allow three extra days for processing and shipment of your order.Print-on-demand items may only be returned or exchanged in the case of a damaged item. Cool case for my phone liked it fine but 15year old son liked it more, he snatched it! That was a favorite AC/DC album but maybe I’ll get a different one for myself.